This year, The Seaforth took a closer look at what we as a restaurant in Ullapool could do to help keep our oceans clean. We have a great history to do with fishing. The Seaforth has had many guises. Our position at the harbour entrance has had a major influence on its development and the result of this can also be seen in the harbour and surrounding area. The Seaforth has spent time as a fish and coal store for the steamboats that used to sail from Ullapool, a chandlery supplying the boats and harbour, and a smokehouse. In the 60s and 70s The Seaforth was a pub and inn, and during the 80s the upstairs served as offices for the fish agents dealing with the East European ‘Klondyke’ fishing fleet that anchored in Loch Broom. This year we invited Sorcha Cantwell a volunteer with both the British Divers Marine Life Rescue and the Scottish Marine Animal Stranding Scheme to enjoy a meal with us while she was in Ullapool cleaning up the beaches. She did an amazing 800 KG of rubbish which was lifted off our beaches! #BeachCleanHero! It was a privilege to thank her for all her hard work and dedication. The Seaforth was also invited this year by Noel Hawkins from Living Seas to a cook-off where we showcased hand dived fresh scallops while Living Seas promoted sustainable seafood and the importance of keeping our oceans clean. We also launched our first annual seafood festival, promoting locally-sourced, fresh, sustainable seafood while raising funds for the local NW Highlands Dolphin snorkelling club. At The Seaforth, we are passionate about keeping our oceans clean just as much as we are about serving delicious seafood dishes. We believe it is vital that children learn from a young age the importance about keeping our oceans clean and safe. 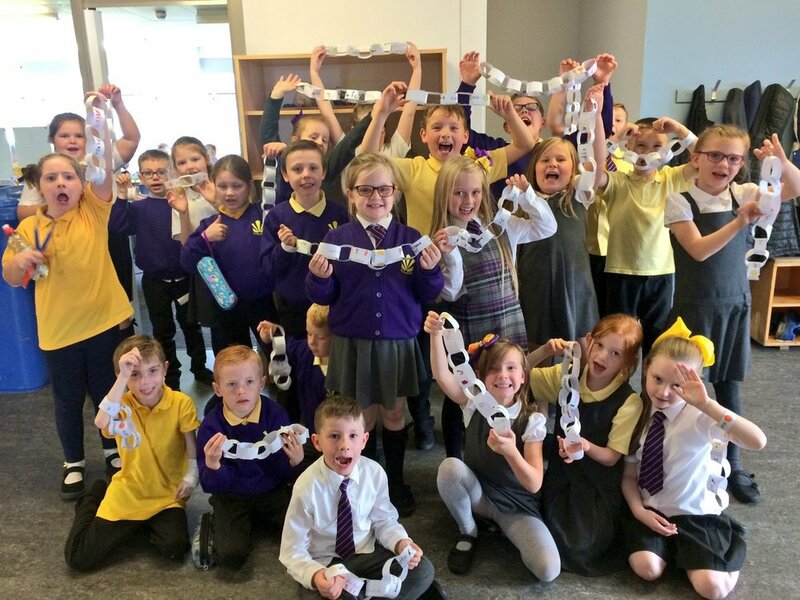 It is fantastic to see children come together in learning to protect our seas. As a Restaurant, Bar and Chip shop, We are moving away from plastic and finding alternatives. We are replacing all plastic takeaway knives, forks and spoons from our Chippy with a more eco-friendly option. We are also replacing our small and large burger boxes and we have fabulous new recyclable Fish and Chips boxes. Plastic in our seas is a serious issue but we can all help to reduce plastic usage, especially single-use items.